Washington, March 26: Acting Pentagon chief Patrick Shanahan said Monday he had authorized USD 1 billion to build part of the wall sought by President Donald Trump along the US-Mexico border. 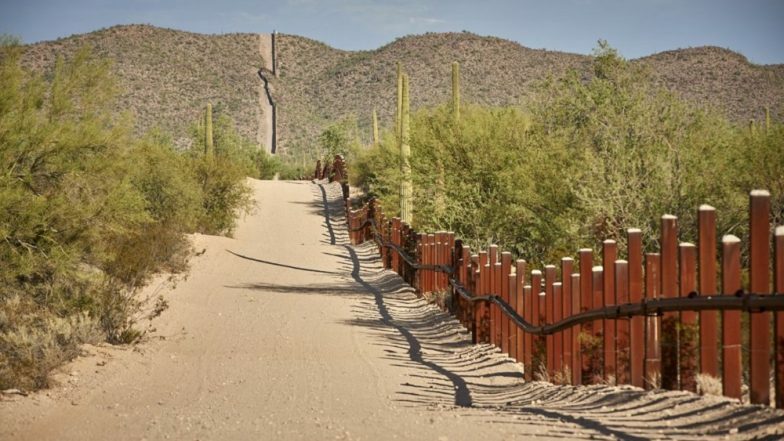 The Department of Homeland Security asked the Pentagon to build 92 kilometers of 5.5-meter fencing, build and improve roads, and install lighting to support Trump's emergency declaration as concerns the border. Donald Trump Declares National Emergency to Build Wall Along US-Mexico Border With Federal Money.